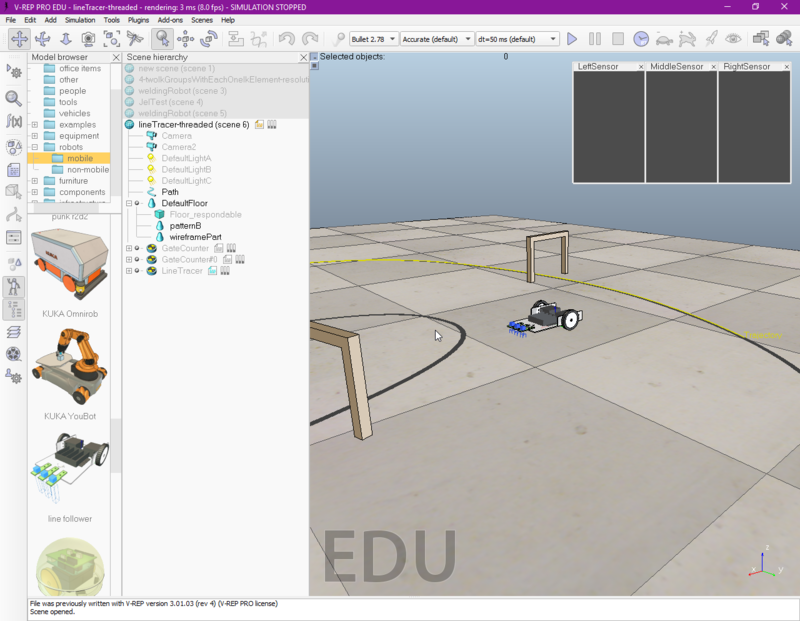 Sla Master's blog: V-REP - What makes it the greatest free virtual robot simulator? V-REP - What makes it the greatest free virtual robot simulator? V-REP it stands for Virtual Robot Experimentation Platform, as the name implies, its designed to simulate virtual worlds with all kind of robots, from mobile to immobile, even industrial robots. It was presented to me by my teacher Mario Ivan for my ControlJEL project (I posted about ControlJEL here). I've started learning it by examples, loading every example project and model and checking how they're done. I've learned a lot about how this awesome software works and how I can make my robot work, after hours of research and work I've finally got it going. V-REP is completely free for education and commercially available by some special licensing. I'm using the education version of the software and it's great! 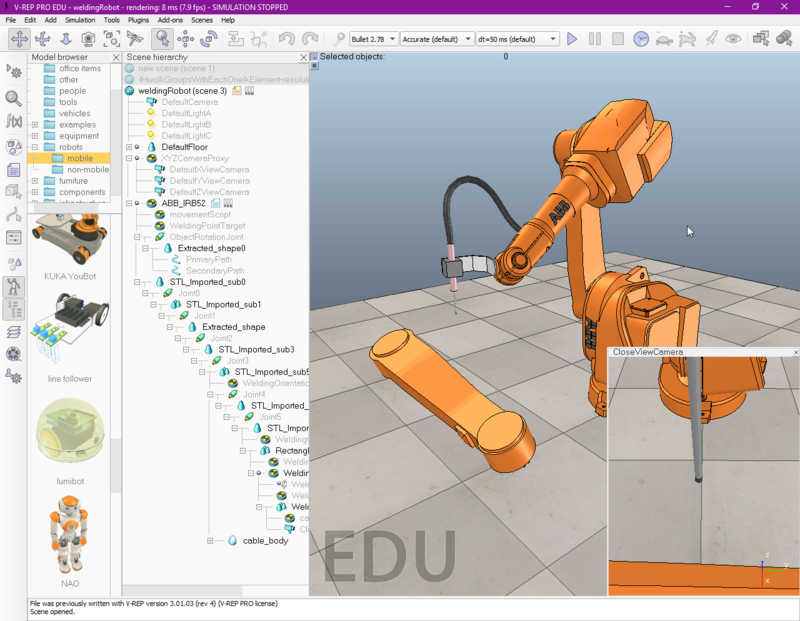 It's possible to simulate almost any industrial robot using V-REP, there are few examples included with V-REP from ABB, Adept, Kuka and more. 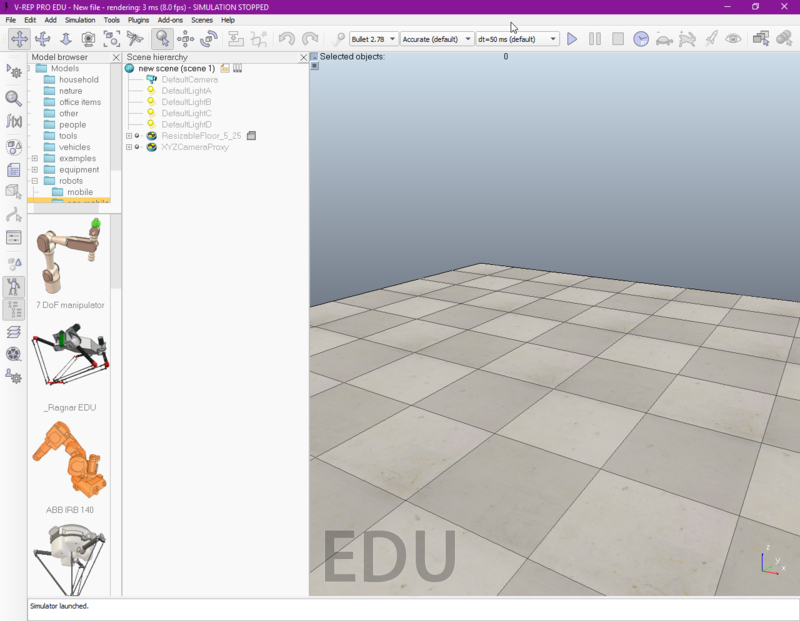 You can include your own robot or concept of a robot and see how it works in a virtual environment. Simulate the movement of the axis, kinematics and even communication protocol. If you're a fan of contest robots, like me, you can also simulate robots for sumo, line follower, football and even drones! 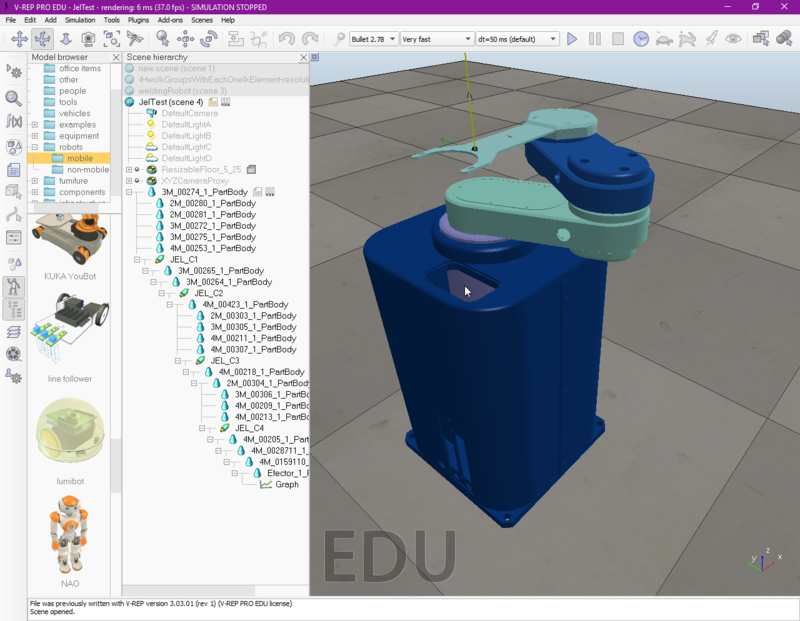 Customize the UI how you want, you have the power to do a lot of things that other virtual robotics environments doesn't let you to do, even if they're commercially available. 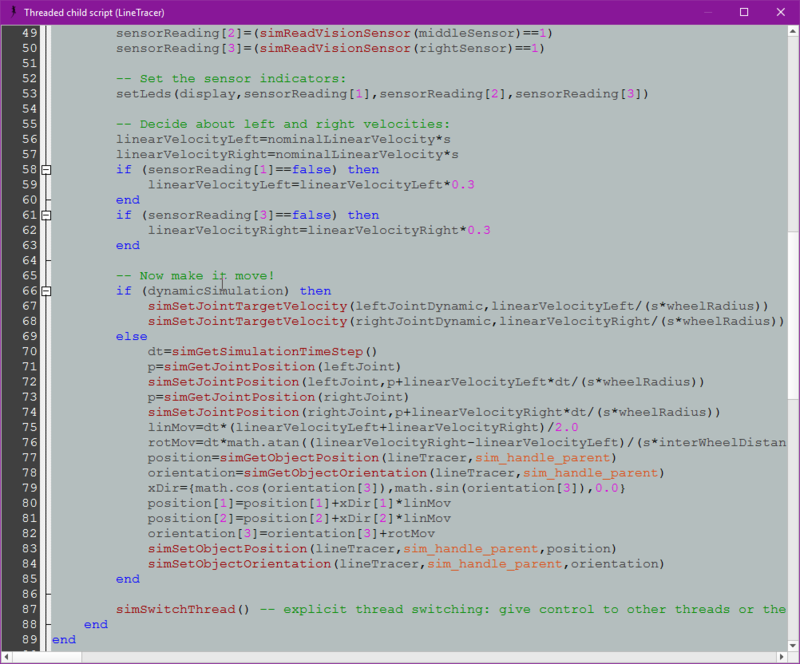 Codding it's even easier! You can write your own code using Lua programming language, customize UI, customize axis movement, setup a communication protocol using TCP/UDP by remote controlling from distance or from another software (I'm using this for ControlJEL to communicate with V-REP). You can extend using C++ calls with Lua or even more by using included plugins. It's the perfect tool for a student to learn more about robotics without having to use a real robot, or even for high schools. 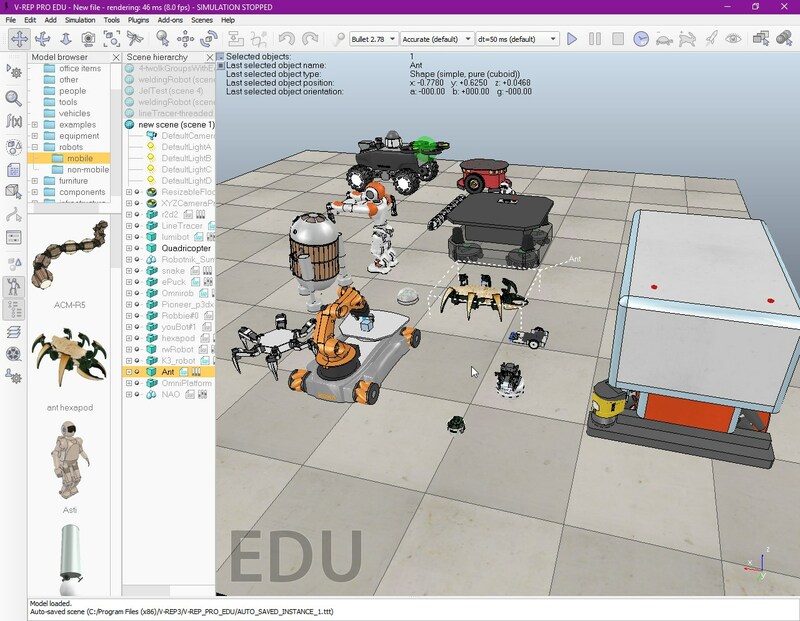 I'm not affiliated with V-REP, I've wrote this article to showcase an awesome free educational software for everyone interested in robots and virtual worlds.